Clutter may creep into your small apartment unnoticed and overtime, it could build up and overwhelm the space. It’s fine to hold on to things with sentimental value but there is no need to keep all the objects you’ve received or bought years before! Clutter, organized mess, whatever you call it, the mess could easily get out of control, eventually affecting your mood and everyone in your household. Is your small apartment so chaotic that you keep finding items that you forgot you own? It’s fine to forget about buying a small item or two but if you see unused clothes, books, gadgets, decors, and other items strewn all over the place and you do not remember getting them in the first place, you have a problem. Take this as a sign that you need to declutter your home. If your home is filled with unused items that you either forgot or never use at all, maybe it’s time to curate your stuff and donate or give some of these items away. Focus on the essentials so you can enjoy your living space. Forgot where you kept your car keys for the nth time? Keep misplacing your glasses, bedroom slippers, etc.? 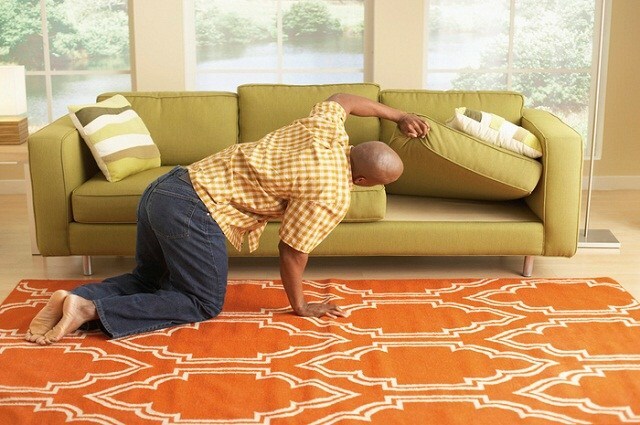 If you spend a lot of your time at home searching for certain things that you keep misplacing, it’s time to tidy up. When you keep misplacing things, it’s a sign that your organization routine is breaking down. Apart from tidying up your small apartment, try this trick: make a habit out of returning things to their proper place. Once you’ve developed this habit, you will never waste another second looking for something in your small apartment ever again. Are you the kind who’s always out looking for a great buy? Can’t help but buy all the things that caught your fancy? Don’t buy things too quickly especially if you don’t need them! You might end up filling your home with more junk! Some people have the intense urge to buy more stuff simply because the stuff they already own is so poorly organized, they have no idea that it is there. If you are an impulsive buyer, now’s a good time to tone your shopping down. You need to go through your stuff and organize your belongings. Check your drawers, closet, and storage areas to know what stuff you have so you do not end up buying the same things again. 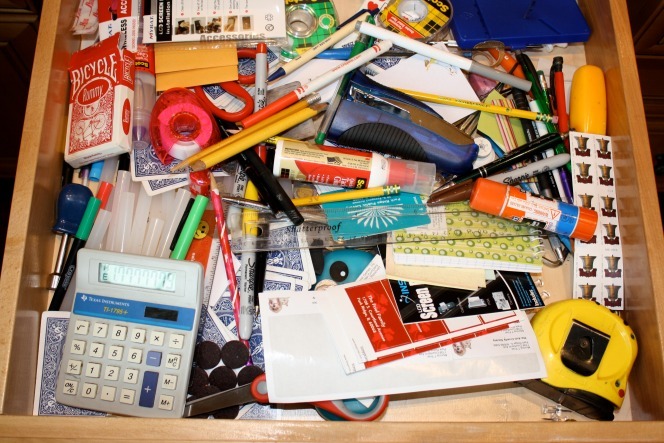 Do you spend a lot of time rummaging through your desk, drawers, bags, closet, etc., for essential items that you keep misplacing? It’s one thing to misplace ordinary stuff that you use infrequently, it’s another if you keep forgetting where your essentials are. Let’s not forget, you are wasting precious time looking for items in your home simply because junk is starting to pile up. If this is an everyday occurrence to you then you have to establish a rule to trim your stuff. This way, you can find your essentials right away. Also, designate a place to store all the small items you keep losing. You can use bins, baskets, drawers, or the top of a desk as the spot for these items. When any of these items are not in use, place it there so it is much easier to find. Every home has a drawer or two that’s often used to dump all sorts of things: broken gadgets, forgotten toys, tangled wires, screws, etc. If some of your drawers hold a lot of stuff and you have no idea what the said stuff is, it’s time to clear these drawers and reclaim all that wasted storage space! Spend a weekend going through each drawer or cabinet. Throw out or donate what you no longer need and remove all items that do not belong there. Slap on a label on each drawer and then store all the items that you don’t want to throw away in it. With the label, you can easily tell what stuff the drawer contains at a glance. Can’t get anything done at home? Feeling less motivated to complete a task? A clutter-filled home will do that to you. If you are having a hard time concentrating on a certain task at home, especially if you work from home, then maybe it’s time to clear all the obstacles that are distracting you! Clutter causes a distraction, which can be mentally draining. Even stacks of paper, magazines and other items that you do not consider as clutter are keeping you from focusing on activities that truly matter. Worse, clutter inhibits productivity and creativity, which could stop you from solving problems. Don’t wait until the clutter gets worse, tidy up right NOW. Even if you do your best to stick to a minimalist lifestyle, you are still unable to make room for all of your stuff. This is a clear sign that your small apartment needs purging. 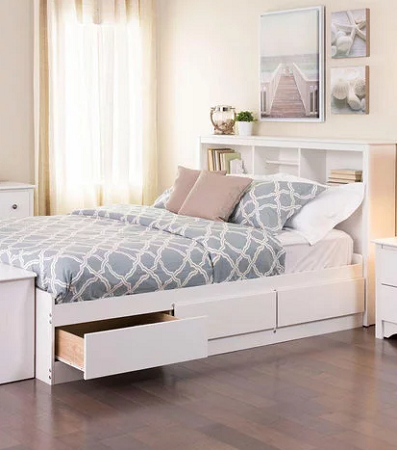 It’s also a sign that you need to add more storage spaces. Spend a weekend purging your home to make room for essential items. I highly recommend investing in a variety of furniture with hidden storage. These pieces are not only beautiful; they also provide concealed storage spaces. You’ll always have room for your stuff. You can also stretch your home’s storage space by installing hanging organizers, storage systems, etc. Our living spaces are supposed to be our haven, a sanctuary that should put us at ease. If clutter keeps piling up in your home, staying in will leave you feeling anxious, stressed, or stifled. And yes, science has linked stress to clutter. A clean, organized home instantly puts the mind at ease so get to work, start tidying up to have some peace of mind! Also, try to squeeze in more me-time to ease stress. Do you buy the same item repeatedly because you keep misplacing the original item? And when you clean your home, which happens once in a blue moon, you are constantly surprised at all the forgotten stuff that you found? This is a clear sign that your home is in complete disarray. Tidy up by designating a specific storage space for these items. A basket, a bin, a drawer or two is enough to store these items and keep your interiors neat. Slap on a label on all boxes so you’ll know the contents at a glance. Keep the labeled containers visible so you don’t forget about them. When you and your friends plan a gathering in your home, do you hesitate for a second thinking about how messy your small apartment is and the effort it takes to clear all that junk? Is a last-minute get-together a no-no for you because you need more time to clean your home? If the answer is yes, your home needs a major cleanup. If you feel ashamed or guilty at the state of your home to a point that you avoid inviting people over, it’s a clear sign that clutter is taking over your personal life.